“I would like to thank the Society of Antiquaries of Scotland for giving me an opportunity to attend the Association for Environmental Archaeology conference organised at University of Edinburgh. As an undergraduate archaeology student I have been looking for opportunities to broaden my perspectives on current developments in archaeology and to be able to attend a research conference was an ideal chance to be introduced to the most recent research and techniques being currently used in the field of archaeology. 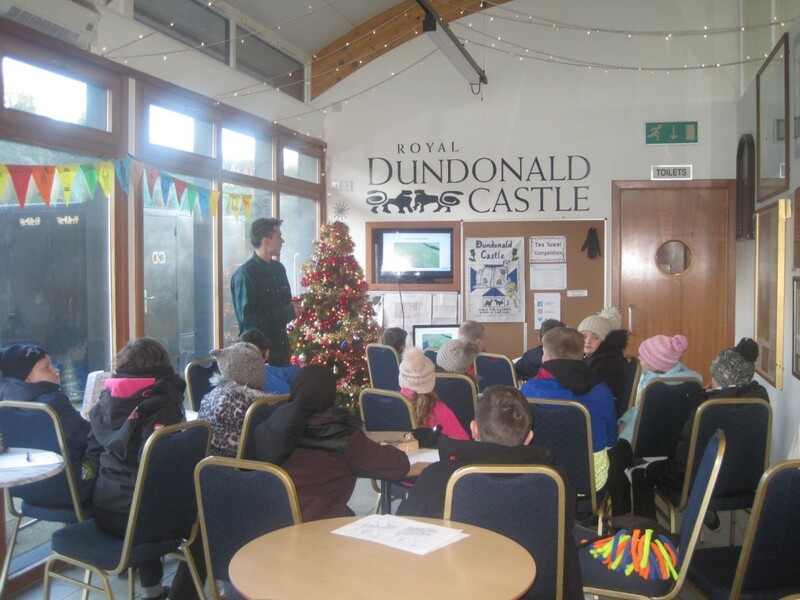 ‘Introducing Archaeology’ lecture at Dundonald Castle Visitor Centre. My poster presentation was titled: “How can archaeological sites contribute to environmental education? 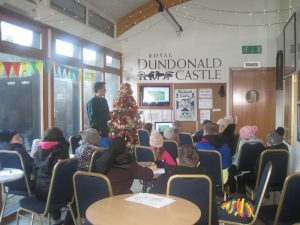 Observations from “Introducing Archaeology” project at Dundonald Castle.” As the title suggests, my contribution to the conference was about presenting findings from an educational project that I participated in at Dundonald Castle. The “Introducing Archaeology” project was an opportunity to educate young students about how archaeology contributes to our society. This corresponded with one of the main challenges set for the conference, which was based on exploring archaeological research relevance to contemporary world. Archaeology has a great potential for influencing debate and attitude towards environmental sustainability through creating historical narratives on how humans have changed our shared landscape. Outreach and educational projects can serve to both promote archaeological profession and contribute to environmental protection, which also directly threatens archaeological heritage in Scotland and around the world.